Barcelona line-up: Valdés, Jordi Alba, Mascherano, Piqué, Montoya, Busquets, Xavi, Fabregas, Pedro, Messi, Alexis Sánchez. 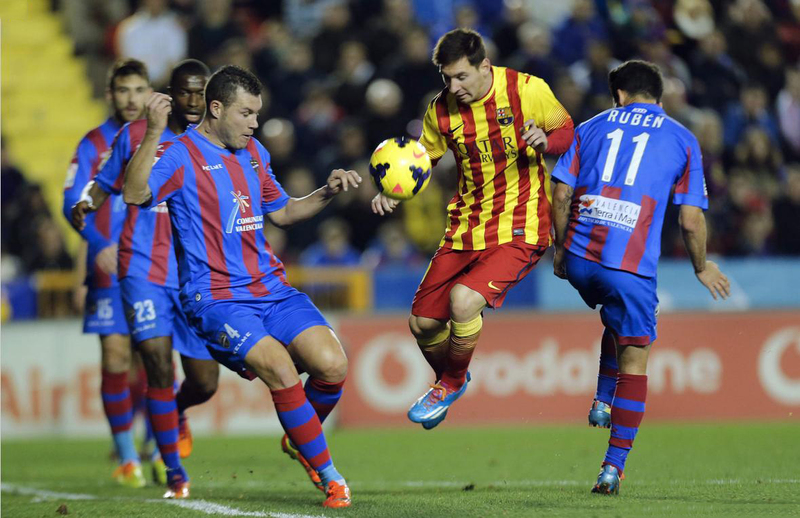 For the second straight league game, Barcelona dropped 2 points after another away fixture, this time against Levante. 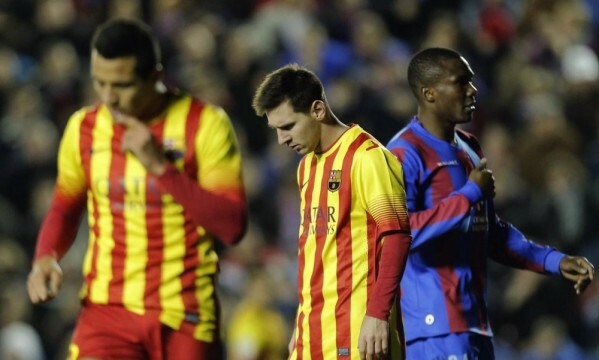 With Neymar injured for the next 3 to 4 weeks, the Blaugrana were expecting that Messi could lead them to the winning track in a tough visit to the Ciutat de Valencia stadium, but things quite simply didn’t go the way they wanted. The reaction didn’t take long though and the visitors would come back into the game just nine minutes later. Xavi Hernández took a corner kick on the left attacking side and Gerard Piqué returned the favor to Levante by also scoring from a good header effort inside his opponent’s box. Surprisingly, the score wouldn’t suffer any further changes until the final whistle and not even Lionel Messi managed to change the fate of the game. 1-1 at the end of 90 minutes and Barcelona had to settle with only one point. 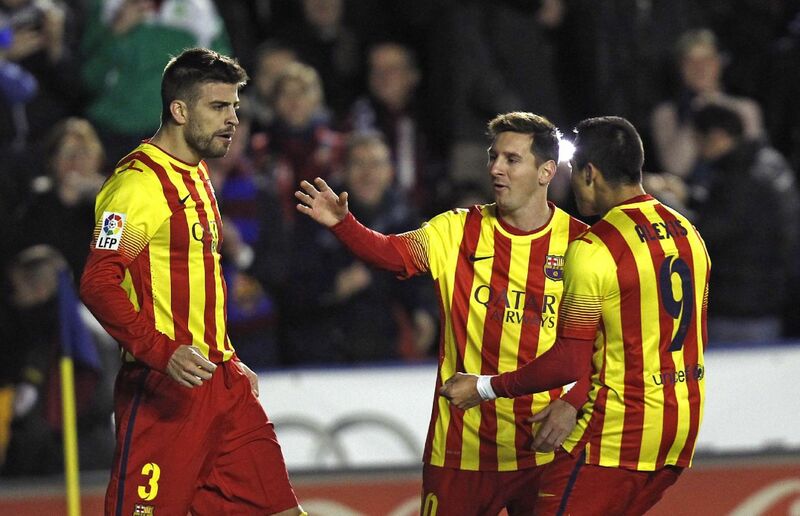 The Blaugrana are still leading La Liga though, since Atletico Madrid has also tied their game. In the other hand however, Real Madrid is now closer to both as they are now only 1 point below the two league leaders.